Lip augmentation is performed to plump up thin lips and reduce fine wrinkles around the mouth. This lip enhancement utilizes hyarulonic acid, an absorbable natural substance found in the body. The procedure which uses injected hyarulonic acid only takes a few minutes, but the benefits last for 3 to 6 months or longer. Lip enhancement is one of the most common cosmetic procedures nowadays; only 10 minutes are needed to achieve attractive lips. Some patients are bothered by the excessive size of their lips, and eager for a lip reduction. 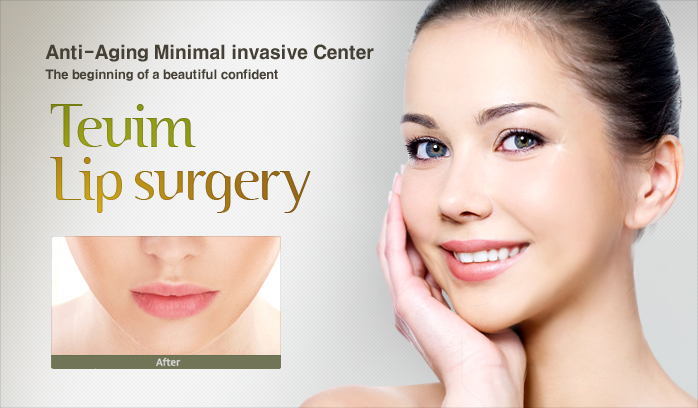 Our lip reduction surgery use quite simple-incision inside the mouth, so there is no visible scar. Then excessive lip tissue will be removed and stitches will be made line with absorbable thread.